About the cover: Sam’s Club’s Chandra Holt and her team have infused new life into the club chain’s private brands. Photo by Spencer Tirey and cover design by Jeff Bowes. Oﬁﬁﬁﬁﬁﬁvﬁﬁﬁﬁlﬁbﬁlﬁcﬁﬁﬁﬁmﬁﬁﬁﬁhﬁvﬁﬁhﬁﬁﬁﬁﬁﬁﬁmﬁﬁﬁﬁ ﬁﬁccﬁﬁﬁﬁwﬁﬁhﬁﬁﬁﬁﬁﬁwﬁﬁﬁ-wﬁﬁﬁﬁﬁﬁ,ﬁﬁlﬁﬁﬁﬁﬁﬁﬁmﬁﬁmﬁ ﬁﬁﬁﬁﬁﬁwﬁlﬁﬁﬁﬁﬁﬁbﬁﬁhﬁﬁﬁﬁﬁﬁﬁﬁﬁ-ﬁﬁhﬁﬁﬁﬁcﬁﬁﬁﬁmﬁﬁﬁﬁ ﬁﬁmﬁlyﬁlﬁvﬁﬁﬁhﬁﬁﬁﬁfﬁﬁﬁﬁﬁﬁﬁﬁﬁﬁﬁﬁﬁﬁﬁﬁﬁhﬁﬁNﬁw,ﬁfﬁﬁﬁ ﬁﬁﬁﬁﬁlﬁﬁﬁﬁwhﬁﬁmﬁyﬁﬁﬁﬁﬁhﬁvﬁﬁﬁhﬁﬁvﬁlﬁmﬁﬁfﬁﬁﬁﬁﬁﬁvﬁﬁﬁﬁ lﬁbﬁl,ﬁwﬁﬁcﬁﬁﬁﬁﬁﬁﬁﬁﬁﬁﬁﬁﬁﬁﬁﬁﬁﬁﬁﬁﬁﬁﬁﬁﬁwﬁﬁzﬁﬁﬁﬁlﬁﬁﬁﬁ ﬁfﬁﬁlﬁﬁﬁﬁﬁﬁﬁmﬁﬁmﬁﬁﬁﬁﬁﬁcﬁﬁﬁﬁﬁﬁﬁyﬁ-cﬁﬁchﬁﬁﬁ, ﬁhﬁlf-ﬁﬁﬁﬁyﬁﬁﬁckﬁﬁﬁﬁﬁﬁﬁCﬁmbﬁﬁﬁﬁﬁwﬁﬁhﬁﬁﬁﬁﬁcﬁﬁﬁﬁmﬁ mﬁﬁﬁfﬁcﬁﬁﬁﬁﬁﬁﬁcﬁﬁﬁbﬁlﬁﬁﬁﬁﬁﬁﬁﬁﬁﬁllﬁqﬁﬁlﬁﬁyﬁﬁﬁﬁﬁﬁ, ﬁhﬁﬁﬁkyﬁﬁﬁﬁﬁhﬁﬁlﬁmﬁﬁﬁfﬁﬁﬁyﬁﬁﬁﬁﬁﬁﬁﬁﬁﬁﬁﬁﬁﬁﬁﬁm! Great taste. Less waste. The choice is clear. The new recyclable EcoCup® capsule generates less waste than conventional non-recyclable capsules* – thanks to superior cup of coffee with more aromas and mouthfeel. For more information, contact Jerry Gilbert at 847.205.9270 or jgilbert@mother-parkers.com. ® • EcoCup® Green Mountain, Inc., Keurig® or K-Cup®. Keurig® and K-Cup® are registered trademarks of Keurig Green Mountain, Inc.
attitudes around private brands. Given that store brands have historically been priced favorably relative to other options on the shelf, you might assume store brand consumers skew less affluent. However, survey respondents debunked that theory. Seventythree percent of shoppers with an annual household income of less than $25,000 said they currently buy store brands, while 79 percent of those in households making $50,000 or more claimed the same. When asked about quality and ingredients, it was the more affluent shopper segments that showed less concern about quality and ingredients. Across all income demographics, though, the majority of consumers buy private brands today and believe ingredients and quality compare favorably to national brand options. Amazon’s acquisition of Whole Foods Market could further the growing positive perception of private brands among consumers. Today, several Whole Foods’ 365 products are listed on Amazon’s Marketplace. After the acquisition, consumers can expect a big spike in the number and variety of Whole Foods’ private brands available on Amazon. By making these high-quality private brands more accessible to average consumers, it is not out of the question that in the near future consumers may even prefer or seek out private brands over national brands. The story isn’t all hunky-dory for private brands, however. Although the average consumer may be buying private brands today, younger shoppers may not be so bought-in. According to Market Track’s survey, only 69 percent of shoppers age 18-21, and 73 percent of those 21-29 buy private brands today. There are some opportunity areas for grocery stores to drive adoption of their private brands across different shopper demographics, but by and large the majority of grocery shoppers are consumers of private brands today. National brand manufacturers will continue to be under threat from private brands as retailers grow their assortment and as consumers become less concerned about taking a hit on quality by choosing a store brand. National brands will need to find ways to enhance their value and quality proposition relative to private brands, knowing that retailers like Lidl and Amazon may be carrying the store brand flag forward in the U.S. market over the years to come. SB Ryne Misso is director of marketing for Market Track, a provider of advertising and promotional tracking, brand protections and e-commerce pricing solutions. AroundtheIndustry SHORT TAKES Kroger sues Lidl for trademark infringement Germany-based grocer Lidl, which opened its first stores in the United States in June, is being sued by The Kroger Co. for trademark infringement. Cincinnati-based Kroger claims Lidl’s “Preferred Selection” private brand is too close in name to its “Private Selection” store brand, which Kroger created 20 years ago. Kroger filed the lawsuit in U.S. District Court in the Eastern District of Virginia. Lidl’s U.S. operations are in Arlington, Va. “As a direct result of Lidl’s wrongful conduct, Kroger has suffered and will continue to suffer irreparable injury,” the lawsuit states. Kroger’s Private Selection consists of artisan foods and gourmet groceries. Lidl’s Preferred Selection brand includes sustainability-certified fresh and frozen seafood, fresh-cut flowers, European-style cured meats, imported chocolate, fresh bread and baked goods made daily in the store, and a variety of shelf-stable items. Lidl plans to open up to 100 stores in the U.S. by the middle of next year. Kroger is the the largest grocery chain in the U.S. with almost 3,000 stores in operation. The parties were to appear before a judge on July 25. Godshall named Independent Processor of the Year Telford, Pa.-based Godshall’s Quality Meats was named Independent Processor of the Year for 2017 by meat industry trade publication The National Provisioner and will be featured as the cover story in its supplement. Independent Processor, in August. The award recognizes the best in American producers of meat and poultry. Godshall’s has been a family business for over 70 years. Godshall’s produces a variety of products as a specialty in both branded and private label offerings. Walgreens-Rite Aid merger scrapped Deerfield, Ill.-based Walgreens Boots Alliance has decided to terminate its merger with Camp Hill, Pa.-based Rite Aid Corp., instead entering into a new agreement to buy 2,186 of Rite Aid’s 4,153 stores for $5.2 billion in cash. Walgreens will also pay a $325 million termination fee. The deal is expected to close within the next six months pending FTC approval, at which point the drugstore chain will begin acquiring Rite Aid’s assets and converting locations to the Walgreens banner. Plans for a merger between Walgreens and Rite Aid, the first and third largest drugstore chains, respectively, lagged for more than a year after the initial announcement due to scrutiny from the FTC over antitrust concerns. espite the growth in e-commerce, consumers today are not rejecting physical stores. In fact, nearly six in 10 are “participatory shoppers” who shop multiple brick-and-mortar stores to find exactly what they’re looking for and expect a personalized, fun, convenient and digitally enhanced experience, according to Nicole Peranick, director of global thought leadership for Daymon. “Private brand,” a term that encompasses services as well as store brand products, will play an ever-greater role in differentiating the retail experience to engage these demanding wellness- and sustainability-focused consumers, said Peranick in her June 21 presentation, “From the World: Bringing Scale to Personalization,” which concluded Store Brands’ four-part webinar series examining “The Power of Private Brands,” a recent report by the Food Marketing Institute (FMI) Private Brand Leadership Council, IRI and Daymon. Also participating in this final webinar were Doug Baker, FMI’s vice president of industry relations, and moderator Kevin Francella, brand director for Store Brands. To better understand contemporary consumer behavior, Daymon surveyed 8,500 respondents from eight countries, including both developed and developing markets. The global retail services and brand development firm uncovered “a new wave of participatory shoppers” that spans all generations, with the most engaged “vocal aficionados” being primarily GenXers and millennials. “These shoppers seek out interaction in the retail experience,” Peranick explained. “They desire inclusion and want to provide opinions, feedback and ideas to make their mark.” Peranick shared several insights into this new shopping mindset that should be of particular interest to retailers with private brands: • Co-creation is the future of retail innovation. Consumers increasingly desire to provide direct input into products and services and even to codesign new ones. • Fresh is the gateway to shopper loyalty. But this extends beyond a single department. “Fresh has taken on an expanded meaning, and solving for this new interpretation is really imperative to capture and retain customers,” she stressed. • A new dimension of private brand is emerging. It’s not enough for store brands to be me-too imitators of national brands. “Shoppers are giving private brands permission and even expecting them to differentiate, elevate, innovate and personalize,” Peranick said. PRIVATE LABEL SALT Launch your private label salt project with SaltWorks®! With unmatched industry knowledge in this high-growth category, we provide the highest quality products, personal consultation and hands-on project management to ensure your store brand is impeccably executed. For the widest selection of all-natural, flavored & smoked sea salts, SaltWorks is the only private label salt partner you will need. SQF Level 2 certified with the highest rating of Excellent. AroundtheIndustry • Conversational engagement must extend outside of the store. Consumers want a two-way “feedback exchange” with retailers that often includes digital engagement. • Seamless integration with mobile is not a choice. “Beyond out-ofstore connectivity, more and more shoppers are demanding a different in-store experience that’s digitally enhanced for mobile,” Peranick noted. Inspire: Our Team at tcâ&#x20AC;¢Transcontinental Packaging armed with inspiration from market and consumer insights, works in collaboration with our customers to create packaging that accentuates your brand, protects your product, and inspires consumers at retail. AroundtheIndustry SHORT TAKES Dollar General testing produce at its traditional stores Goodlettsville, Tenn-based Dollar General Corp. is testing fresh produce as its traditional dollar stores. Todd Vasos, CEO of Dollar General, said the chain is remodeling about 300 of its traditional stores to increase cooler space about 160 percent. “Additionally, across about a third of these locations, we are testing an assortment of fresh produce. While it’s still very early, initial remodels are yielding strong same-store sales improvements,” Vasos said on a recent conference call with investors. YOU MIGHT SAY WE’VE EXPANDED Now it’s your turn. Stake your claim in today’s booming RTD coffee market. We’ve greatly increased our space—with triple the footprint and additional retort machines—to help you get a place on the shelf. With our newly expanded state-of-the-art 290,000 square foot facility, there’s no need to wait to get in on the RTD beverage action. Let us help you create and develop your successful product in our SQF Level III certified facilities with our experienced team of quality-minded employees. Senior director of private brands for FreshDirect, an online grocer based in Long Island City, N.Y. How did you come to the world of private brands? My career started in the world of private label — with the intention of moving over to the CPG side after I gained a few years of experience. Little did I know, I would fall in love with the industry, and I’ve been part of it ever since. asking for more visibility into not only the products themselves, but also the supply chain — how were they sourced and manufactured. This push for transparency leaves some retailer-owned brands at a disadvantage. How much can you share without giving away your “secret sauce”? What do you like most about the industry? I became interested in the private brand business because I saw the incredible potential to create and build brands that add meaning to customers’ lives. Feeling connected to the value proposition of the brand(s) you support is truly a rewarding experience. Our primary brand at FreshDirect, Just FreshDirect, highlights the importance of knowing what’s in the food you’re eating and where it comes from, which is a mission I feel personally connected to. What’s the best advice someone ever gave you? My dad is always full of good advice. He taught me that relationships matter, the business world is surprisingly small and to treat others always with love and respect, and it will pay dividends down the road. You have a week off. Where do you go and why? This is a tough one because I love to travel. While I have a long list of places on my bucket list, if I have a week off I would probably go to my home away from home in Tulum, Mexico. My husband Austin and I were recently married in Tulum, so it’s a special place for us. Carrie Mesing and her husband Austin Rutz love to visit Tulum, Mexico, where they were married in May. It’s 5 o’clock (or later), what do you do for fun? The restaurant scene in New York City is too enticing to pass up, so you’ll often find me trying out a new cocktail bar or restaurant at the end of the work day. While I love to cook, the size of my kitchen makes entertaining a challenge, so if I’m meeting up with friends it’s usually at a restaurant or workout class. coffee now ™ and for the future Today’s consumers want more earth-conscious, ethicallysourced coffees. Stay ahead of consumer demand with Massimo Zanetti Beverage. handra Holt removes her shoe to rewere “typical” of many store brands, to a veal a cluster of bites and stings premium tier to distinguish them from By she endured from an army of the competition. Lawrence fire ants while walking in a During an interview inside the Aylward field of coffee plants in Medellin, Sam’s Club located a few miles from Colombia. Holt, the vice president the company’s headquarters, Holt explains of private brands for Sam’s Club, toured that the Member’s Mark makeover all began the field in Colombia recently while with Sam’s Club’s members, the consumers meeting with growers and suppliers regardand business people who pay $45 a year for ing the Bentonville, Ark.-based warehouse membership. club chain’s new line of coffee products for its “One of the first things I did when I came recently revamped Member’s Mark line. on board was conduct both quantitative and “Sometimes … this job is just brutal,” Holt qualitative research with our members to says while surveying her swollen foot. And figure out what they wanted from our private then Holt smiles and lets out a laugh. She brands,” Holt says. wouldn’t have her job any other way. What she learned is that many members In the past year, Holt and members of her priwant more than just products that are national vate brands team have literally combed the globe brand equivalents. They desire a variety of — from visiting olive and tomato farms in Italy innovative and high-quality products with fewer to wine orchards in France and to a smokehouse ingredients that are exclusive to Sam’s Club. in East Texas — to procure the best ingredients The members are getting what they asked and processing methods to create new prodfor. Last fall, the 600-store chain, founded ucts and improve existing ones for Sam’s Club’s in 1983, rolled out the first of the new and “new” Member’s Mark line. In April, Sam’s Club revamped products in the line, which include announced the 20-year-old line’s revitalization, everything from fair-trade certified 100 percent which will touch about 1,200 products in food, Arabica coffee to organic virgin coconut oil beverage and general merchandise by the end to smoked pulled pork to honey sourced from of 2018. It includes 600 new products — 300 a U.S. bee cooperative. (See “A premium introduced in late 2016 and 2017 and 300 in approach with products” on page 10.) 2018 — and enhancements to 600 others. But Holt and her team also decided to the revitalization won’t stop there. Holt and her streamline 21 previous Sam’s Club private team will continue to develop and introduce new brands including Simply Right, Bakers & products in the coming years. RIGHT: When Chandra Holt joined Sam’s Club When Holt joined Sam’s Club in August in August 2015, she challenged herself to take 2015, she threw down the gauntlet … to herself. Sam’s Club’s private brands, which she says were The 37-year-old challenged herself to take “typical” of many store brands, to a premium tier to Sam’s Club’s private brands, which she says distinguish them from the competition. Cover story photos by Spencer Tirey. Cover Story Chefs and Daily Chef into Member’s Mark, a brand that Holt says has maintained strong equity. Holt wouldn’t say how much Sam’s Club invested in the undertaking, only that it was a “heavy investment.” Early signs indicate that the Member’s Mark makeover is a hit. Under Holt and her team, it has grown swiftly from a $9 billion brand to $10 billion. Chandra Holt (middle) examines coffee plants in Medellin, Colombia. BummedÂ Your Sam's Club Delivery Costs Lost you Member's Mark Business? CaseStack's Sam's Club Freight Consolidation Program can help. Our collaborative Sam's Club program reduces suppliers' distribution costs, improves on-time delivery and enhances on-shelf availability. CaseStack frees capital, so you can deliver premium products at value prices and help Sam's Club grow the Member's Mark brand. With Sam's Club Consolidation you don't have to choose between quality and profitability, you just have to call us at (855) 638-3500 or email consolidation@casestack.com. Chandra Holt (front) and her team, including Derek Warner and Julie Woods, have worked hard to build the Member’s Mark brand. But they aren’t afraid to goof off and have fun on occasion. Chief Merchandising Officer Ashley Buchanan, has offered unwavering support for the venture. Sam’s Club’s tremendous purchasing power and vast scale of sourcing have also benefitted the project “Everybody is fired up about this,” Warner says. “It doesn’t feel like work because it’s fun. It has been a fantastic experience.” WHEN WARNER SAYS HE has a “whole world” of suppliers to partner with, he means it. In the past year, Warner has strolled through guava orchards in Mexico, pineapple plantations in Indonesia and coconut trees in the Philippines to view and learn about potential suppliers’ products. Warner has also visited the United Kingdom, Spain, Italy, China, Thailand, India and Malaysia since beginning his job. While she hasn’t traveled as much as Warner, Holt has traveled overseas frequently in addition to trekking throughout the U.S. Need Store Brand Cartons and Labels? DISC has easy and cost eﬀective solutions to make it happen. We are the ﬁrst company in the world to oﬀer PANTONE’s breakthrough Extended Gamut Color system. Contact us to get the full story. 100 percent Arabica medium roast that features red fruit, caramel and almond notes. w Organic Virgin Coconut Oil — billed as a healthy substitute for margin and butter in cooking. w Mozzarella & Roasted Garlic Chicken Sausage — a fully cooked heat-and-serve offering. w Special Selection Extra Virgin Olive Oil — grown and pressed in the best olive regions of Italy. smokehouse with over 70 years in the meat smoking industry. sourced from a U.S. bee cooperative representing hundreds of independent beekeepers. w Wines — partnered with award-winning wineries to produce Chardonnay, Riesling and Cabernet. Lasagna — created from an Italian family recipe from a woman-owned business. w Sea Salt Caramels — handcrafted caramels covered in milk chocolate and sprinkled with sea salt. w Non-food products — they include bath tissue, paper plates, sunscreen, makeup remover and gummy vitamins. The packaging for products in the Member’s Mark line does not follow a template. The goal was for each package to look and feel different. Sales for Member’s Mark Spanakopita (upper left) nearly doubled after its packaging was redesigned. Cat’s Meow Though ranking 4th in dollar sales, private brand cat litter grew faster than the brands of the three leading manufacturers, increasing 7% to $218.1 million. much lower price points for store brands drive unit sales but can also affect consumers’ impression of their quality. Even though non-food store brands are much better now than in the past, according to Killian, “generally they are about value, and good-better-best [tiering] has not been as relevant,” he says. “Some key categories are almost by definition commoditized.” Take vitamin and mineral supplements, robust segments for private brands. “If you look at Vitamin D, for example, there is only so much you can do to differentiate it from the national brands,” Killian observes. “You can clean up the label or change the cap. Innovation is still possible, but it’s still really a commodity product by definition.” The recent report titled “The Power of Private Brands,” by the Food Marketing Institute, IRI and Daymon, reveals that consumers across all generations perceive the quality of private brand non-foods to be less than that of private brand food. 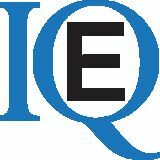 Millennials, GenXers, baby boomers and the silver (senior citizen) generation all perceive dairy, bakery or fresh produce and even canned/packaged goods to be at the top of the private brand quality hierarchy while relegating store brand personal care and OTC products to the bottom of that scale. SOURCE: IRI. Total U.S. supermarkets, drugstores, mass market retailers, military commissaries and select club and dollar retail chains for the 52 weeks ending April 16, 2017. For the complete “Pet Food and Supplies” table and other “Non-foods State of the Industry” tables, visit www.storebrands.com. Non-Foods State of the Industry This means that retailers have the chance to change shoppers’ minds by generating excitement and developing premium solutions in the health and beauty care (HBC) space. In fact, there are real opportunities for retailers to differentiate themselves in certain underdeveloped non-food categories that have high growth potential for store brands, Killian notes. These categories include pet care, personal care and laundry products, he says. Rolling Out Faster Growth 1st place in unit sales and 4th place in dollar sales, private brand toilet tissue is increasing at a faster rate than the top manufacturers’ brands. Two other categories with tremendous potential are health and wellness and, less obviously, eye glasses and optometry services, adds Kieran Forsey co-founder of Nottingham, U.K.-based Solutions for Retail Brands (S4RB). Across various non-food segments, but especially in household cleaning products, retailers should also consider developing sustainable, free-from store brands, Killian suggests. Some retailers have been reluctant to do this, he says, because it could raise consumers’ expectations and lead to insistence that all of a chain’s cleaning products be reformulated. SOURCE: IRI. Total U.S. supermarkets, drugstores, mass market retailers, military commissaries and select club and dollar retail chains for the 52 weeks ending April 16, 2017. For the complete “Laundry Products” table and other “Non-foods State of the Industry” tables, visit www.storebrands.com. Non-Foods State of the Industry however. Ranked No. 3, private brand dry dog food declined nearly 12 percent in unit sales and 5.3 percent in dollar sales from year-earlier figures. But private brands saw huge gains in the refrigerated/frozen dog food segment, which grew more than 75 percent in both dollar and unit sales. The takeaway: Retailers need to focus more on developing premium pet products. SOURCE: IRI. Total U.S. supermarkets, drugstores, mass market retailers, military commissaries and select club and dollar retail chains for the 52 weeks ending April 16, 2017. For the complete “Personal Cleaning Products” table and other “Non-foods State of the Industry” tables, visit www.storebrands.com. Downward Slide In 5th place among manufacturers of deodorant bar soap, private brands plunged 29.4% in dollar sales and 24.4% in unit sales, a much steeper decline than that experienced by manufacturers of the leading national brands. Prevent Wipe Out Private brand baby wipes rank No. 1 in sales at $484.1 million, but this represents a more than 3% decline over the previous year. In contrast, free-from and organic wipe manufacturers are posting dollar sales gains of 40%-plus. care and bath products that feature retro black-and-white photography of attractive young women from an earlier era. The chain’s premium No7 beauty brand is aimed at older, more sophisticated women who have discriminating taste, while the newer nature-inspired Botanics brand, proclaiming “the power of plants,” targets consumers who value natural and organic products. OPPORTUNITY IN LAUNDRY Laundry products, traditionally a commodity or value area for store brands, represent a largely untapped opportunity for differentiation, Killian notes. The IRI data show a number of laundry care segments experiencing growth in private brands. Ranked No. 5, store brand liquid laundry detergent, for instance, increased in retail dollar sales by 6.2 percent over the previous year, while the three leading national brands declined in dollar sales. Private brands also accounted for the only dollar sales increase among the top five brands in the liquid static control/fabric protection category. But the most impressive gains for store brands in laundry occurred in the color-safe bleach category. Ranked No. 2 in this segment, private brand color-safe bleach increased nearly 27 percent in dollar sales and 31.4 percent in unit sales, while top-ranking Clorox color-safe bleach suffered a 4.6 percent decline in dollar sales and a 5 percent decline in unit sales. SOURCE: IRI. Total U.S. supermarkets, drugstores, mass market retailers, military commissaries and select club and dollar retail chains for the 52 weeks ending April 16, 2017. For the complete “Baby Care Products” table and other “Non-foods State of the Industry” tables, visit www.storebrands.com. Marketing to Aging Consumers circulars, even though they may also learn about promotions online. Most important, according to Wisner, aging consumers don’t like to be called “old.” Marketing to these individuals means calling out those aspects of a product that are important to this demographic while stressing the positive — the active, interesting, vibrant lives led by the no longer young. Leverage OTC, need for eyeglasses Over-the-counter medications, vitamins and minerals, and home health devices are disproportionately purchased by older consumers. In fact, “half of OTC products are purchased by people over the age of 50,” Wisner says. 10 tips for winning over older consumers Much can be done to target the needs of older consumers and make the shopping experience more enjoyable for them. To win over these potentially most loyal customers, here are some recommendations: 1 Strengthen the pharmacy section to draw more shoppers to store brand over-the-counter products. 2 Develop food products with specific chronic health conditions in mind such as diabetes mellitus, hypertension and heart disease. 3 Don’t suggest on packaging or signage that certain products are intended for frail elderly consumers. 4 Packaging callouts should address the common health issues of individuals older than 50 and be in a large enough font size for them to read. 5 Large stores should have comfortable seating in several locations, not just a bench at the entrance. 6 Retailers should encourage retirees to gather at the store for coffee and conversation or for an early dinner in the grocerant dine-in section. 7 Do recognize the opportunity to develop and sell private brand reading glasses to older customers. 8 Like millennials but for different reasons, older shoppers prefer containers that are lightweight and easy to open and close. 9 Aging consumers often desire smaller portion sizes in private brand heat-and-eat refrigerated, frozen and shelf-stable meals. 10 Although they generally prefer to shop in the store, aging consumers might like to order certain bulky and personal products online such as paper towels, moistened toilet paper and adult incontinence products. Among the OTC segments dominated by aging consumers are analgesics for arthritic pain, antacids and other remedies for digestive problems, laxatives to address the common medication side effect of constipation, eye drops for dry eye syndrome, foot care products, first aid products such as wound care items, and sensitive toothpastes and denture-cleaning products. In addition, older individuals are more likely to buy calcium and Vitamin D supplements to prevent or combat osteoporosis as well as multivitamins targeted to middle-aged and senior populations. “OTC is also a category where store brands are extraordinarily powerful,” Wisner says. “By volume, store brands account for more than 50 percent of sales. It’s a huge category, and it’s a growing category.” Just as most consumers now realize that generic prescription drugs are comparable to brand-name drugs and much less expensive (not to mention much more likely to be covered by health insurance plans), shoppers today recognize the quality and tremendous value of private brand OTC products. To fully leverage the OTC category to increase sales to older consumers, supermarket chains and other large grocery retailers need to strengthen and leverage their pharmacies, Wisner suggests. “Once you lock in pharmacy customers, they are more loyal than any other customers,” he emphasizes. To improve sales to older customers, the in-store pharmacy should be in clear view and a short walk from a store’s main entrance. The pharmacists and technicians should be able to answer customers’ questions about —and help them find — all manner of OTC products. In-store events such as osteoporosis screenings and heart health programs can drive more traffic to this part of the store, Wisner adds. In developing new OTC drugs or when revamping packaging, retailers with store brands should consider that senior citizens often have trouble removing standard child-proof caps. Elderly people with memory problems would also find the newer combination-lock pill bottles challenging to open. There is much room in this realm for invention, and retailers who come up with the perfect pill bottle for their store brand medications stand to benefit. What’s more, the font sizes on OTC drug labels and other packaging should be larger. “The packages should be easier to read and find,” Wisner says. Speaking of diminishing vision, reading glasses constitute a category that retailers should play up in targeting middle-aged and older consumers, he adds. “One spinner rack in a store is not enough,” Wisner says. “You need several of these racks.” Indeed, many people own two or more pairs of reading glasses at a time and frequently buy replacements. “You don’t just buy one pair of reading glasses,” Wisner explains. “You need one upstairs and one downstairs. And you need to replace the pair that you left at your kid’s house by mistake and the one you sat on last week.” Reading glasses and eyeglass frames in general are an underdeveloped category for store brands, one with considerable growth potential, says Kieran Forsey, co-founder of Nottingham, U.K.-based Solutions for Retail Brands (S4RB). He notes that grocery retailers might want to consider adding optometry services to take full advantage of this category’s possibilities. Older consumers want quality, value But in the United States, do older consumers, who remember well the days of low-priced “generic” private label products in plain packaging, have respect for private brands? Among this population, the quality perception of store brands has improved as the products themselves have risen in quality, Wisner says. Still, the value aspect of private brands is what resonates with many aging consumers — those who need to keep to a tight budget, he points out. Sponsored by the Food Marketing Institute, IRI and Daymon, the “Power of Private Brands” research report notes that the quality perception of private brands differs somewhat but not significantly by generation and by product category. Boomers and older “silver” consumers regard dairy and fresh produce as the categories in which store brands are of the highest quality, with boomers ranking dairy No. 1 and silver consumers ranking fresh produce at the top. Millennials and GenX consumers have the highest regard for the quality of store brand dairy and bakery items. Interestingly, all four generational groups rank private brand personal care products and beverages near the bottom in terms of quality perception. The “Power of Private Brands” study can help grocery retailers identify underdeveloped product categories in their store brand portfolios, in which new lines and products would likely win over mature consumers. motor skills, also strongly prefer containers that are simple to open and close. Younger shoppers may wish to avoid cans because of bisphenol A in can linings or because heavier packaging is perceived as less sustainable, whereas elderly shoppers might appreciate the lighter weight of alternative materials such as aseptic packaging. Millennials are known to be foodies who fanatically seek out the new and different while caring deeply about what’s in the products they consume. Baby boomers, who also like ethnic foods and care about ingredients, enjoy many of the millennial-driven product introductions. SmartLabel technology, an industry-wide initiative to enable consumers to have easy and instantaneous access to detailed information about thousands of products, is one solution to the challenge of giving different generational segments the specific information they need to make smart, healthful purchasing decisions. Make them feel comfortable Aging consumers, especially those with mobility issues, may be good candidates for buying certain products online for home delivery. Why go to the store to buy paper products or personal care items such as moist toilet paper? But far more than younger generations, people over age 50 prefer to shop in the store. For elderly consumers in particular, going grocery shopping is an opportunity for social engagement, perhaps the only time they get out and interact with other people during the day, Maynard notes. In Europe, she says, grocery retailers are starting to provide specific training to employees on how to assist elderly shoppers. “In the U.K., Asda has dementia-friendly days; that’s been a huge initiative here,” Maynard says. She notes that these scheduled shopping times are aimed at people with severe dementia, who can be dropped off at the store by caregivers. Employees in the store are trained to accompany the elderly shoppers, offering help when needed in selecting products, navigating the store, and getting out the money to pay for the items. “This is a way for individuals with dementia to be around people and do familiar tasks without being completely overwhelmed,” Maynard says. Similarly, at Albert Heijn stores in the Netherlands, cashiers are trained to spot loneliness in elderly people. “The cashiers are trained to engage with older consumers and connect with them,” Maynard says. When these shoppers check out, they are not rushed but encouraged to take their time. “That cashier may be the only person they talk to for a week,” she notes. Grocery retailers everywhere should think more about the needs of older consumers in the layout and design of stores, Maynard suggests. There should be more places for senior citizens to sit comfortably, well-placed couches rather than a single hard bench near the store entrance. There should be magnifying glasses available to help them read product labels, as well as long-handled reaching and pickup devices to help them retrieve items from store shelves independently. Senior citizens could be encouraged to have early dinners in the supermarket grocerant dine-in section before the evening rush. Or they could be invited to gather for coffee and conversation and board games or other hobbies during the day. “I used to live in China. And it was very interesting that when you’d go to a grocery store at 7 a.m., it would be packed with elderly people,” Maynard shares. “They wanted to pick up specials and fresh produce. And they were enjoying this social time together. There was definitely a community aspect to it.” To reach out to older consumers, she advises U.S. retailers to “create more opportunities for consumers to engage and interact with each other.” SB Schierhorn, the managing editor of Store Brands, can be reached at cschierhorn@ensembleiq.com. Amcor offers built-in spoons with exact measurements for over-thecounter privatebranded products such as cough syrup. paper labels, shrink bands, chipboard or J-board sleeves used for printing valuable information,” she adds. “This source reduction means using less material to hold or package a product and reduces the amount of packaging material that must be recycled or discarded after use.” Bags and pouches are becoming more popular with consumers because of their ease of use and environmental components. “Pouches typically use less fossil fuel and emit less carbon dioxide than most rigid containers and boxes during the manufacturing process,” Casey says. Tupta says that while millennials and Generation Z consumers are interested in earth-friendly packaging, it won’t matter to them if the product doesn’t have shelf or online visual impact. “Private label manufacturers and retailers are looking for packaging that gets noticed — color, shape, design functionality — and effectively communicates their message,” Tupta adds. Making strides In the past, private brands have been criticized for cheap-looking packaging when compared to national brands. Casey says that has changed thanks to more functional structural designs in addition to high-end graphic design. Tupta says private brand manufacturers now have more access to cost-effective packaging customization and printing through improvements in technology, manufacturing processes and digital printing. “This is showing up on the shelves with private label packaging that is clean, sleek and elegant,” Tupta says. SB Aylward, editor-in-chief of Store Brands, can be reached at laylward@ensembleiq.com. UNCAP YOUR PRODUCT’S POSSIBILITIES Mold-Rite Plastics is the leading provider of high-quality jars and closures used every day by millions of consumers around the globe. The packaging experts at MRP can support your nutraceutical, pharmaceutical, food, personal care, household chemical and automotive packaging projects. Count on Mold-Rite to deliver safety, compliance, shelf impact and consumer satisfaction. cold or expeller-pressed, the report says. Regarding health benefits, the report cited a study of 7,500 people at risk of cardiovascular disease published in the New England Journal of Medicine in 2013. The study found that a Mediterranean diet, including extra-virgin olive oil or nuts, reduced the incidence of major cardiovascular events. In 2016, the Journal of the American Medical Association Internal Medicine reported that older adults following a Mediterranean diet that included either olive oil or nuts indicated possible cognitive improvement compared with those following a lowfat diet, the report noted. U.S. News & World Report revealed in its Jan. 18 issue that flavored and herb-infused gourmet vinegars are not only tempting consumers, but also have antibacterial and antioxidant properties. The article further reported that vinegar shows promise as a tool to control blood sugar and cholesterol levels. All cleaned up Clean, minimally processed, organic oils and vinegars are what consumers want now, says Michael Giaimo, vice president of sales and marketing for Modena Fine Foods & Wine, a Clifton, N.J.-based importer of gourmet products from Italy. Retailers should also focus on developing and offering innovative new products in this mature category, Giaimo suggests. There is growth in certified organic oils, and top sellers are coconut, olive, canola and sunflower, adds Mark Griffin, president of brands for Kenwood, Calif.-based New Organics Inc. Retailers are looking for more value in their products and want high-end oils at affordable prices, says Agron Kosova, manager of Naperville, Ill.-based Fine Italian Food, the North American branch of Compagnia Alimentare Italiana. BOV Solutions is a pioneer and leading edge bag on valve and aerosol manufacturer servicing the personal care, OTC, sun care, baby & senior, cooking oil & food, beverage, pet care, air care and household. BOV Solutions was part of the original BOV commercialization team in the early 1980's and has achieved a near perfect SQF audit score for the last decade. BOV Solutions is considered best in class and chosen due to their high level of certification, formulary, technical and operating capabilities. Broadest formulary portfolio in North America. Spray lotions, cosmetic, epidermal hydrating, elasticity and dark spot Oxybenzone free products sprays, First Aid, Diaper & Adult Traditional, Reef friendly, plant derived and Incontinent Sprays, ear and nasal care, organic turn key products. itch & burn relief, numbing and muscle relief. Generic pan sprays, high end pure organic sprays, extra virgin olive, Canola, Coconut, sunflower, peanut, flax seed, Avocado, walnut, macadamia nut and various blends. understand the importance of attractive, sustainable bottles for olive oil. for sautéing, but you can easily hit the smoke point with olive oil. Canola has more heat stability” for applications such as roasting vegetables. Entice interest in your products by highlighting where they came from, Kosova advises. Distinguish the products based on their country of origin and the variety of olives, grapes or other types of produce used to make them, he explains. Source: InfoScan Reviews, IRI, a Chicago-based market research firm. Total U.S. supermarkets, drugstores, mass market retailers, military commissaries and select club and dollar retail chains for the 52 weeks ending March 19, 2017. Attractive bottles sell oil and vinegar, marketers agree. “There are more darker glass bottles and attractive bottles on store shelves,” says Kosova, who believes glass protects oil from heat and light better than plastic does. Griffin agrees that aesthetics are important, but says that plastic PET bottles have improved in quality and are more economical to ship because they weigh less and don’t break. Amber-colored PET bottles are capable of protecting oils for the length of their shelf life, Griffin says. Both the environmental and health impact of bottles matter to consumers, Griffin says. “We’re seeing more BPA-free bottles, and their recyclability is very important to people,” he notes. More retailers are offering recycled or more sustainable packaging, especially in oils, Giaimo adds. Smaller bottles of 8, 12 and 16 ounces are also becoming more sought after, perhaps for spacesaving reasons, Griffin says. neglect the growth potential of avocado and various nutbased oils. he realities of modern life provide a pretty good opportunity for the fruit and nut snacks category. Pairing a strong nutritional profile and convenience with consumer interest in snacking and betterfor-you foods has made this category a winning one. Ninety percent of U.S. households buy nuts, seeds or trail mix. Nearly half (45 percent) eat these snacks on the go, and a third buy them specifically for travelling, according to global market research firm Mintel Group Ltd. Not only has this $8.6 billion category grown 28 percent from 2011 to 2016 at current prices, it’s expected to grow another 23 percent to reach $10.6 billion in 2021 at current prices, Mintel states in its June 2016 report, “Nuts, Seeds and Trail Mix, U.S.” Scott J. Reindel, vice president of business development and retail strategy for the Trophy Nut Co. in Tipp City, Ohio, says private brands are getting more representation in the category. “While the entire category is growing, private brands are outpacing that growth,” Reindel notes, adding that private brands are also innovating more in the category than the national brands. provide new Some consumers are snacking several times a day and flavors to are looking for healthier, great-tasting snacks, says differentiate. Wesley D. Edwards, channel account manager for Edison, N.J.-based Woodstock Farms. soccer field, at work or during summer traveling.” Consumers seek packaging options that work for different consumption occasions, Mintel reports. Its survey found that 43 percent wanted re-sealable packaging and 27 percent wanted single-serve packaging. When it comes to labeling, cleaning up the ingredient list and nutritional panel should always be a focus, Mendoza says. go, and both mom and dad work, so a trail mix that targets a breakfast flavor will provide a healthy snack as we run out the door. A coffee crunch trail mix, blueberry muffin trail mix or even an organic ‘morning commuter’ mix with apple cinnamon granola balls provide traditional morning flavor profiles.” SB Cvetan is a freelance writer from Barrington, Ill. Item pictured is the newly introduced Berry Granola Breakfast Mix featuring soft bite granola clusters. esserts are an indulgence, yet consumers still expect certain things from their treats — that they be worth the indulgence and that unhealthful attributes be minimized in their formulations. Millennials are leading the charge on food trends, and buyers are taking notice, says Rebecca Velázquez, client relations executive for Crêapan USA in Chicago. “Millennials crave and demand an all-around eating experience, including innovative and unique recipes, as well as interesting flavors and ingredients,” Velázquez says. Consumers are also calling for minimally processed packaged goods and are actively avoiding certain controversial ingredients, Velázquez adds. “It’s incumbent upon manufacturers to create or reformulate recipes with simple, cleaner ingredients without compromising flavor and quality in order to remain competitive and to capitalize on this rapidly growing better-for-you [trend],” she says. Private brand cakes and pies, excluding snack sizes, comprise the bulk of the category’s market share at 72 percent, according to Chicago-based market information provider IRI. Considered an affordable indulgence during the economic recession, retail sales of prepared cakes and pies grew 23 percent between 2010 and 2015, when sales reached $11.6 billion, according to global market research firm Mintel, as reported in “Prepared Cakes and Pies, U.S.” from May of last year. Still, consumers remain concerned about their health and weight management, Mintel notes. The report found that nearly 40 percent of consumers from the millennial generation or younger eat prepared cakes and pies to boost their moods. Mintel also reports that a quarter of women age 18 to 34 expressed feeling guilty for eating these desserts. The firm advises offering single-serve packaging, realize that mini or bite-sized options and using healthier sweeteners and consumers want other ingredients to assuage clean label baked those negative feelings and desserts. help consumers control their consumption of these treats. A 2016 internet survey of 1,381 adults, conducted with Lightspeed GMI, found that 38 percent would consider purchasing or purchasing more of ready-toeat, baked-in-store cakes or pies if they were offered free samples. Thirty-one percent would be favorably influenced by the availability of individual portion sizes and 22 percent by baked goods made with alternative sweeteners. ignore the potential of natural and organic in this category. Category Intelligence: Baked Goods & Desserts specializes in better-for-you natural and organic baked products such as cookies, baked bars, fruit filled bars and inclusions. The company sweetens some products with fruit juice and does not use any hydrogenated oils in its baked goods, Cobb says. Consumers also want innovation in their bakery products, something “new and exciting,” says Jan Marien, a partner in Dallas-based BellEATalia, which represents Italian bakery manufacturers to the U.S. market. American consumers are more accepting of international bakery products than they were a decade ago, Marien says. “It was always a nobrainer that bakery products be high quality and [available] for a good price,” he says. “But now consumers want better-for-you products, such as multi-grain and organic.” Consumers also want clean labels, so manufacturers must move away from preservatives and use packaging instead to extend product shelf life, Marien adds. Packaging such as take-and-bake sealed plastics bags and clamshells that extend shelf life without adding artificial preservatives is essential to growing the category, he says. BellEATalia’s clamshell packaged cookies boast a six-month shelf life, Marien says. It’s important to be mindful of extended shelf-life packaging’s effect on the environment as well, Cobb says. Choosing the right ingredients also contributes to extending shelf life. “We are continually looking for new natural ingredients to achieve longer shelf life while still maintaining the product without preservatives,” he adds. that seems to go hand-in-hand with on-the-go snacking, Cobb observes. “Millennials want convenience for their busy lifestyles, but they also want healthy, functional food,” he says. “Functional bars are extremely popular and have seen huge growth in the category. Millennials are also very big on substituting at least one, and sometimes more, meals a day with a functional baked bar.” While added protein has the greatest potential for growth, gluten-free formulations continue to be popular, Cobb adds. Fresh foods, which consumers view as healthful, continue to be in demand, Velázquez says. Fresh food sales have steadily increased, while retailers have seen stagnant growth in the freezer section the past few years, she notes. In response to this trend, Crêapan is introducing its fresh line of fully cooked crepes and pancakes, which the company has been selling internationally for 20-plus years to U.S. consumers, according to Velázquez. All natural and organic brands of prepared cakes and pies could attract consumers shopping for their families, Mintel asserts. Millennial consumers, the report continues, are much more likely than other groups to feel that prepared cakes and pies have too many preservatives, and they express a willingness to pay more for gourmet and premium products. “Millennials are really interested in what they eat,” Marien says. “They look at the label, they notice if [the product contains] a ‘superfood,’ like chia, spelt flour or ancient grains. They are very conscious about what they eat. They are more aware of what is good for them, especially the parents.” SB Cvetan is a freelance writer from Barrington, Ill. Source :InfoScan Reviews, IRI, a Chicago-based market research firm. Total U.S. supermarkets, drugstores, mass market retailers, military commissaries and select club and dollar retail chains for the 52 weeks ending March 19, 2017.
consider offering single-use packages in this category. hen it comes to flavoring up entrées and side dishes, it’s hard to beat the convenience of prepared sauces and marinades. They allow time-pressed home cooks to create a tasty meal in no time flat. It should come as no surprise, therefore, that some segments within the U.S. sauce and marinade category continue to enjoy strong growth. For example, soy sauces and chili sauces experienced retail value growth rates of 5 percent and 6 percent, respectively, in 2016, according to “Sauces, Dressings and Condiments in the US,” a March report from London-based Euromonitor International. And sales of marinades rose 34 percent between 2010 and 2015 to reach $1.4 billion, Mintel relays in its December 2015 “Cooking and Pasta Sauces, Marinades — US” report. The global market research firm forecasts that the marinade segment will reach $1.6 billion in 2020. The picture isn’t quite as bright in the cooking sauce segment, however. Retail value dropped 2 percent here in 2016, Euromonitor notes. Private brand cooking sauces struggled in particular, posting a 5 percent decline in current value terms. building a fan base, Mullane notes. He adds that Berner looks to trends in the restaurant sector so it can get a grasp on up-and-coming retail flavor trends. Make it shine A change or two to private brand packaging could be very good for the category, too. 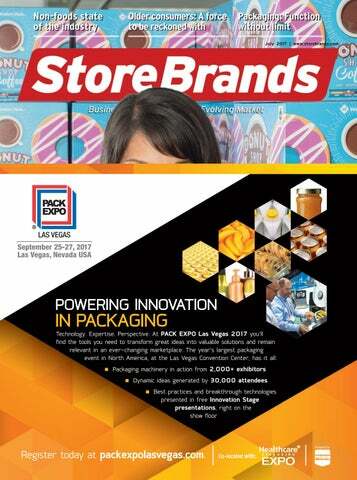 And with strong consumer interest in all things “culinary,” retailers have an opportunity to showcase the application of the product onpack, Dieterle suggests. “We believe we will start seeing more serving suggestions, recipe ideas and regionality rather than ingredients as descriptors,” he says. “ ‘Small batch,’ ‘artisan,’ ‘hand-crafted,’ ‘curated,’ ‘inner chef ’ — also naming the food like a chef would on a menu.” In line with the better-for-you mega trend, a clean packaging design that highlights ingredients and any relevant health claims is a plus as well, Hedges points out. Glass bottles continue to dominate the category overall, Hedges says. But flexible packaging and smaller serving sizes have been gaining in popularity, too. Source: IRI, a Chicago-based market research firm. Total U.S. supermarkets, drugstores, mass market retailers, military commissaries and select club and dollar retail chains for the 52 weeks ending March 19, 2017.
as are short videos shown in the store that showcase how to cook with the product,” he adds. Limited-edition and seasonal offerings, too, could foster a sense of “urgency and excitement,” Hedges says. He also advises retailers to crossmerchandise sauces and marinades in the meat and seafood departments. “Serving ideas and recipes highlighted at the shelf adjacent to the products can also encourage consumer purchase,” he says. Retailers should enhance online efforts as well. “Better-developed online interaction, recipe videos and private brand incorporation could elevate the sauces and marinades segment for more versatility and usability,” Dieterle says. For sauces that go hand in hand with salty snacks, retailers will want to free up space in the salty snack aisle. Mullane says many successful retailers are willing to compete with the big direct store delivery dip vendors. “We find that most successful programs typically are in the snack sections,” he stresses. “It’s your store; you own it. Be supportive of your program.” SB Canning is a freelance writer from Libertyville, Ill.
ike many other mature U.S. markets, the household paper products segment has been struggling in recent years. It recorded retail value growth of just 1 percent at current prices in 2016, reaching sales of $17.8 billion, according to “Retail Tissue in the US,” a February 2017 report from London-based Euromonitor International. Volume sales actually fell by 1 percent. To drive interest in — and sales of — private brand paper products, retailers need to deliver the attributes consumers are demanding. One attribute that’s important to many consumers is high quality. Jeff Leaf, director of sales/U.S. for Edgewood, N.Y.-based U.S. Alliance Paper, says premium-quality paper products that compare to the national brand leaders are trending. “There are a few new technologies available that are producing a higher grade of paper; however, it is important that you understand the technologies, as well as the attributes that each can deliver,” he says. “It is hard to ‘compare’ to the target national brand without having the same technology that is used to manufacture the national brand.” Consumers are even willing to pay more for better strength, durability and softness, notes Kris Jackson, who works in category solutions for Stamford, Conn.-based Daymon. But they still prefer to purchase such products on sale. Despite all the interest in premium products, Leaf believes retailers should not walk away from the value and mid-tier segments, which still account for the largest private brand share in paper products. “Also, the old adage of less equals more holds true for private label paper,” he says. “Confusion and frustration set in with the consumer with all of the options available in the paper aisle.” Private brands can better compete on price than the national brands, but retailers need to educate consumers about cross-merchandise private brand quality, Jackson adds. To accomplish that, retailers napkins and paper could work with their store brand towels near food vendors to offer “tie-in promoproducts that are tions and quality displays,” notes messy to prepare Marc Robinson, vice president of for consumers. business development for Global Tissue Group in Medford, N.Y.
fail to communicate the value proposition of larger rolls of toilet paper and paper towels. Category Intelligence: Paper Products ings and differentiation, she says. To grow sales of store brand paper products, retailers may want to look beyond trends tied to quality and size. On the facial tissue side, for example, many consumers value a decorative box. “Trendy colors/designs on boxes are worth perusing as consumers want to match their home or office décor,” Jackson explains. Paper towels, too, could benefit from a new look. Robinson says paper towel prints sporting seasonal offerings have been growing in demand. Premium Azure, especially for them – ready-to-shelve with bold, eyecatching graphics.” The introduction of TAD (Through Air Dried) technology has made it possible for U.S. Alliance Paper to effectively manufacture products for the premium quality tiers. In the TAD process, rather than pressing and flattening the fiber, virgin fiber is dried by passing very hot air through to develop a soft and airy structure, giving consumers the stronger, more absorbent and “fluffier” product attributes they are looking for. “Our customers are increasingly offering their consumers specialized products,” continued Saraf. “Depending on their business segment, they are offering custom products such as super-sized rolls with premium attributes, and custom bundling such as club packs. We have the manufacturing flexibility to be responsive across paper grades and quality tiers. We can customize sizes and sheet counts in mixed, 100% recycled, CFP® Certified and TAD paper grades, for any quality tier, in virtually any package, bundle or display configuration imaginable.” The introduction of its Ultra Premium Azure control brand comes as the company celebrates 20 years since its founding in 1997. Starting with a single converting machine and hand-assembly lines, the company has grown into one of the largest private label paper manufacturers in the U.S. with computerized, state-of-the-art manufacturing lines and over a million square feet of manufacturing and distribution space in New York and Arizona. Make Your Private Label Pack a Punch! Fight the big brands with higher quality at a superior value! Marcal will help you meet or exceed national equivalent quality levels while offering state-of-the-art, full service capabilities. Marcal offers a complete breadth of products in the bath, towel, and napkin segments-available to you in custom configurations and unique packaging solutions. Whether in the market for 100% virgin, 100% recycled, or national brand equivalent, equivalent Marcal has the solutions to help your business grow. respond to the health and wellness and natural ingredient trends when developing and marketing foot care products. September 26, 2017 • Rosemont, IL Co-Located with the Path to Purchase Expo! Connect with us storebrands.com The Store Brands website is your source for the latest news, industry trends, new products, research, category intelligence and more! hours, a factory can make 7,000 pounds of potato chips. Throughout the years, potato chips have been packaged in cans, paper bags, cellophane, plastic, aluminum foil and cardboard tubes. It takes 10,000 pounds of potatoes to make 2,500 pounds of potato chips. American eats over 4 pounds of potato chips a year. cut potato chip is .08” thick. 1. RECYCLING IS GOOD FOR THE ENVIRONMENT. 2. RECYCLED TOILET PAPER IS ROUGH AND SCRATCHY. IT’S TIME TO RETHINK NUMBER TWO. Introducing the 100% recycled tissue that’s 100% soft. Going green is good for the planet. But going with rough and scratchy recycled toilet paper can rub you the wrong way. Until now. That’s because Green Heritage gives you everything you want in a premium, recycled bath tissue: A 100% recycled product that’s surprisingly soft and comfortable. And that makes doing something good feel a whole lot better. For more information, please visit www.atlaspapermills.com/greenheritage.